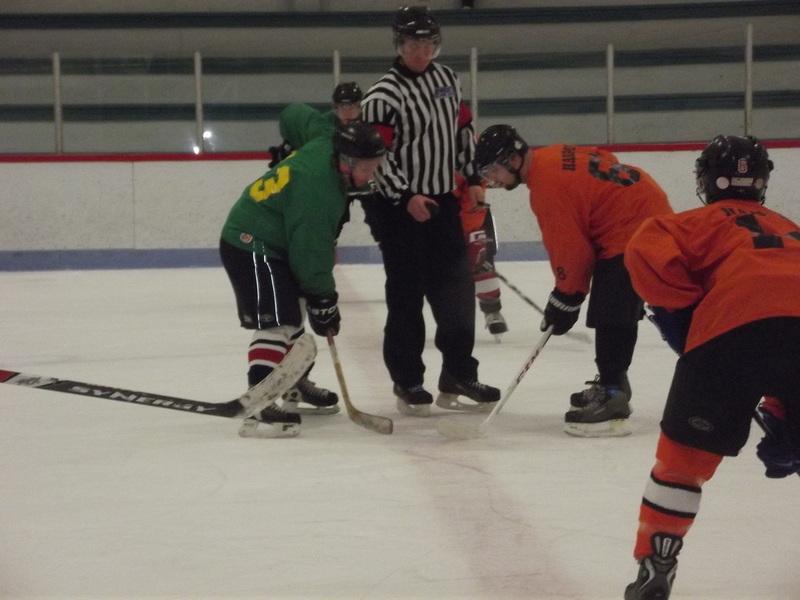 Pictured above is referee Angus Rankin as he drops the puck for the opening faceoff between Lingan ERT forward Keith Stanly, left, and Donkin Fire Department forward Jose Pimental, right, during day one of action at the 24th annual Vince Ryan Memorial Scholarship Hockey Tournament at the New Waterford & District Community Centre on Thursday. 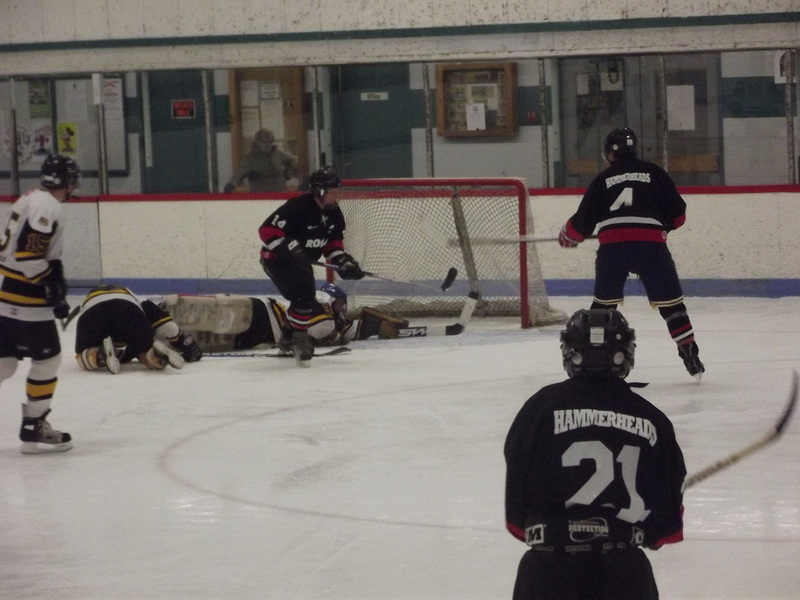 The Donkin Fire Department won the game 7-4. Photo taken by Jeremy Fraser. Pictured above is Ice Dogs forward Dave Yuryzyzzun as he buries the games first goal past Antigonish Golden Dogs goaltender Ronnie MacDonald during first period action at the 24th annual Vince Ryan Memorial Scholarship Hockey Tournament at the New Waterford & District Community Centre on Saturday. The Ice Dogs won the game 13-5. Photo taken by Jeremy Fraser. 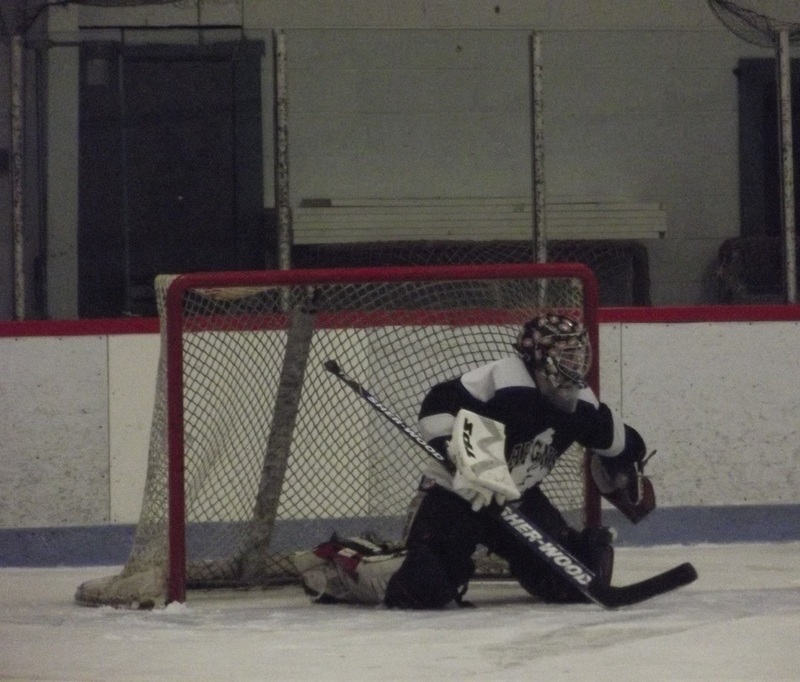 Pictured is Ice Dogs goaltender Greg Landry as he makes a save during first period action at the 24th annual Vince Ryan Memorial Scholarship Hockey Tournament at the New Waterford & District Community Centre on Saturday. Photo taken by Jeremy Fraser﻿.